You may be wondering why anyone would want to read a page about Engineering Solutions. This issue is, however, at the core of STAG’s campaign for greater transparency from Sheffield City Council. The Council frequently repeat that healthy trees are only removed as a “last resort”. To anyone knowing little about retaining healthy highway trees – and this is most people – this statement sounds reasonable enough. Unfortunately the facts do not support the Council’s claim. 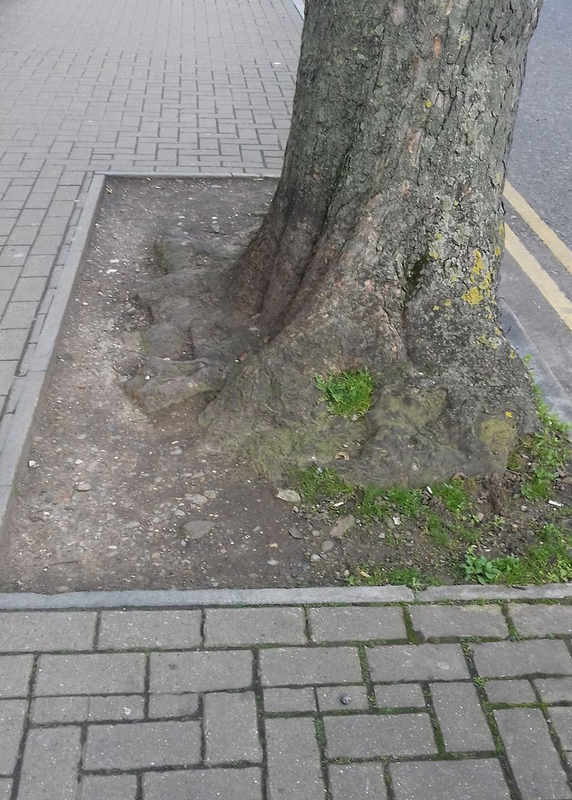 There are many simple, cheap (or even completely free) measures that can be taken to retain healthy highway trees condemned for causing damage to kerbs and/or pavements. These measures – commonly called Engineering Solutions – are used as standard by Local Authorities all over the UK but there is little evidence for their use here in Sheffield. The £2.1 billion-pound PFI contract, signed by Sheffield City Council, The Department of Transport and Amey Plc. in 2012 provides money for 14 Engineering Solutions. Under the terms of the contract using these options would present no extra costs to the people of Sheffield, although there has been much confusion over this particular point. Where are Amey’s examples of these solutions? STAG has a citywide membership and, aside from a few tree pits (Solution 12), so far we have found only a handful of locations where the listed solutions have been used . We recognise that not all of the above solutions are obvious, as with the root inspections that were ordered for some lime-trees on Rustling Road and for eight of Western Road’s War Memorial Trees (Solution 2). The most visible solutions would be numbers 1,3,4 and 5 and yet, apart from a few thinner profile kerbs and the odd example where a kerb has been removed, these are noticeable by their absence. This is strange considering that Solutions 1,3 & 5 would cost next to nothing to implement. Even when the ‘Household Survey’ results show that residents want to keep their trees, and the ‘Independent Tree Panel’ agrees to retain them, Engineering and Tree Based Solutions are still not actioned, and healthy trees are felled unnecessarily. It is hard to understand why SCC thinks them inappropriate considering the circumstances. Why are we being denied these standard remedies when they cost nothing extra to deploy? The few examples offered by Amey to STAG, which we were unable to locate, were “based on officer recollections rather than formal inventory data.” You would think that SCC and Amey would be only too happy to showcase their efforts to retain Sheffield’s trees using any of the listed solutions. STAG are still waiting for clear evidence of this policy being put into widespread practice. installing a thinner profile kerb will ensure that where the road edge meets the pavement it remains straight. Flexi™–Pave, made of recycled rubber, stone and a bonding-agent, adjusts as roots grow or shrink and prevents cracking. It also allows water through to tree roots and well-watered trees are less likely to put out exploratory roots that create pavement disruption. In appearance it resembles smooth gravel. 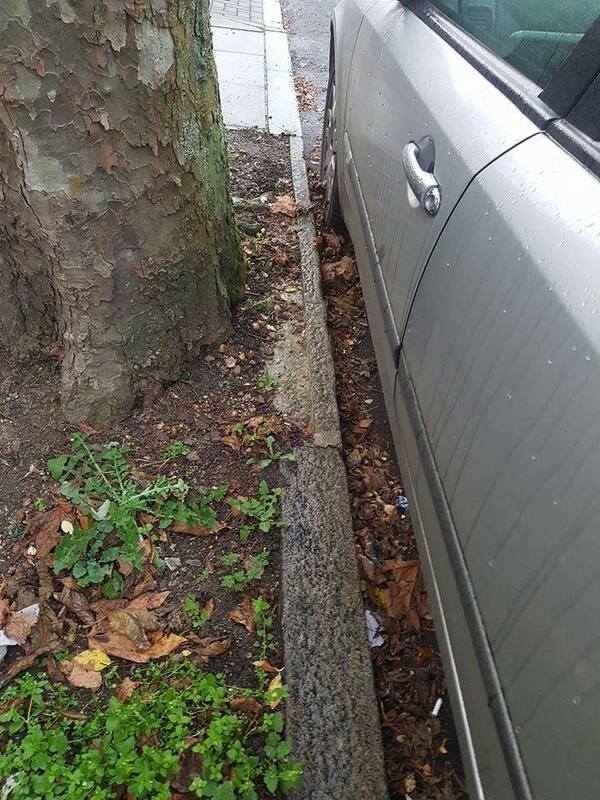 the complete removal of displaced kerbs is the easiest, and cheapest, option. a tree pit is best installed when a tree is first planted, although it can be retro-fitted around existing tree roots to safeguard against future problems. Western Road’s trees have been neglected for over 20 years and during this time the pavement has been patched-up with many layers of tarmac. 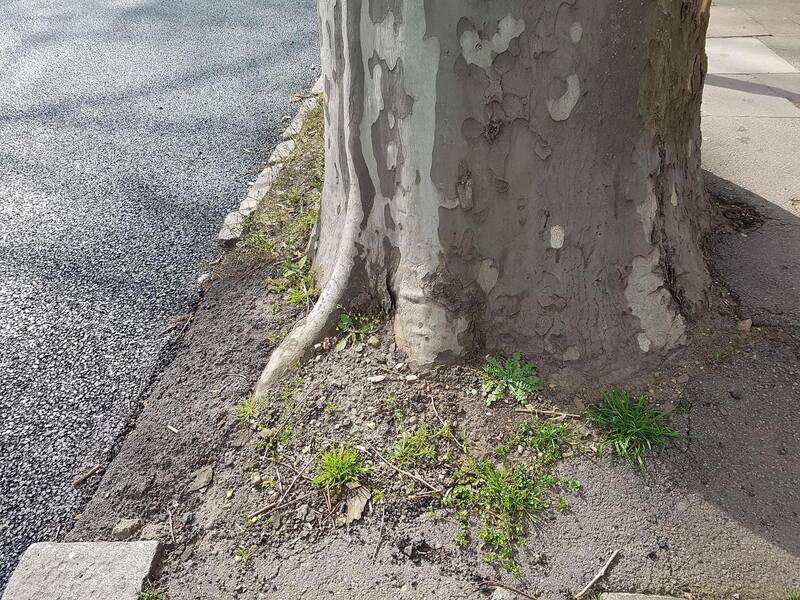 This has caused the trees to grow larger roots in search of moisture, creating humps and cracking on some sections of pavement, and the kerb is displaced. 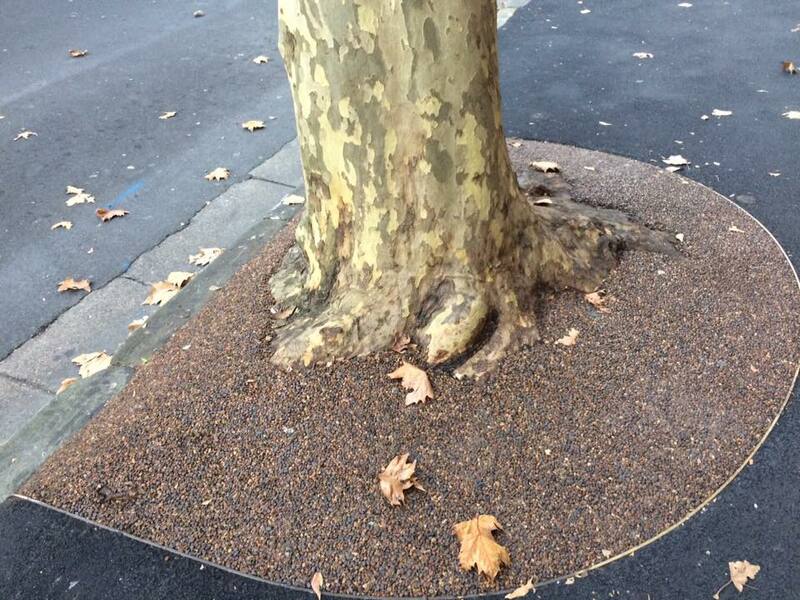 Solution 12: larger tree-pits, or Solution 4: flexible paving/surfacing solution (Flexi™–Pave) would have prevented this, and it is still not too late to use these strategies to prevent problems down the line. 23 trees are listed for felling, out of which 22 are healthy and one has fungal disease. SCC ordered that 8 out of the trees should undergo a root inspection, a rare instance of where Solution 2: excavation of footways for physical root examination prior to an ultimate decision being made on removal has been actioned. If you look closely at the tree trunk you will see a tide-mark showing the level of the pavement around the tree before the surrounding tarmac was taken away. Once several layers of tarmac had been removed and a single layer of tarmac had been laid, the pavement was acceptably flat. The pavement renewal process requires the uppermost tarmac layers to be scraped, sometimes superficially, sometimes to a deeper level. There is no real reason for the thick deposits around tree trunks to not be dealt with at the same time. The planing-machine used on sections of pavement between the trees would not be used over roots that have broken the surface. Extra care would need to be taken around some of the threatened trees to avoid damaging roots. A skilled highways operative could provide this level of expertise and STAG believe, after talking with workers on the ground, that they would be only too happy to use their skills to retain these special trees. In the case of Western Road, there are York Stone flags covering approximately half the street’s footways. These are scheduled to be lifted and relaid as part of pavement renewal, presenting an ideal opportunity to install tree pits or Flexi™–Pave around trees, and to re-profile the footway levels over the roots – Solutions 12, 4 and 3. These standard techniques include: Solution 3. Ramping / Re-profiling of footway levels over roots (within acceptable deviation levels) – this simple and cost-effective solution would go a long way to saving many of Western Road’s trees, where uneven pavements are given as the primary reason for felling. Where kerbs have been displaced, Solution 1: installation of thinner profile kerbs and Solution 5: removal of displaced kerbs leaving a gap in the channel could be used in most cases. Amey say that trees with roots growing into the highway receive serious root-damage from ‘roadway renewal’, necessitating their removal. However STAG has observed highway renewal operatives resurfacing Sheffield roads, using massive machinery with considerable delicacy and skill, so as to avoid damaging tree trunks and roots. Clearly skilled highway operatives can avoid this sort of damage. “Amey have scheduled many of these trees for felling on the basis that their planing machine and digging machinery will cause such severe damage to trees that they will become DANGEROUS (one of the 6Ds), as decay is expected to follow and it is thought structural integrity will be compromised. This ‘normal practice’ could help retain several of Western Road’s War-Memorial Trees.